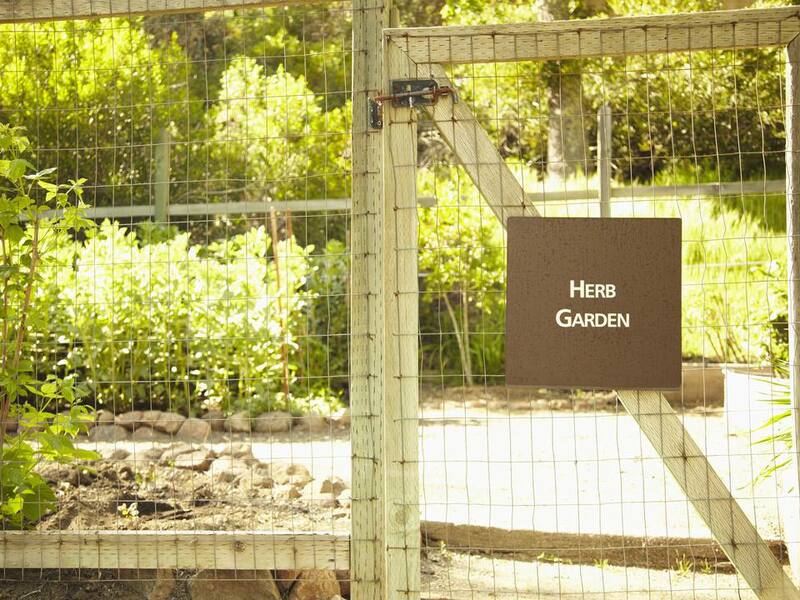 Fencing can be part of every herb garden. For some gardens, fencing is purely decorative. It can simply show where the footpath is to allow someone to walk safely amongst the plants, even if they are not visible yet. For most gardeners, fencing is an integral part of the garden plan. There are many considerations when choosing the type of fencing you will need. Do you need a fence to keep out domestic animals or wildlife? Both types of animals require different fences. Here are some of the more common types of fences and what they are good for. What Kind Of Fencing Is Available? Premade panels: These panels can consist of many materials like metal, wood or plastic. Plastic or vinyl fencing is a long lasting fence but is also the most costly. It is a good fence for wandering domestic dogs and cats because they won't be around long enough or consistently enough to have time to dig under. Most dogs and cats are not very destructive in a garden area unless they are attracted to the soft soil in the case of the cats or something smells good to eat in your compost. Electric fence: Electric fence is a good choice for gardens that are in a more rural area and are being bothered by wildlife and domestic livestock. Electric fence is easy enough to install for the weekend handyman and is inexpensive enough to surround large areas efficiently. There is an electric box called a charger, that needs to be installed near an electric source. This is the charge that flows through the fence and provides a shock to anything that touches the fence. It is a pulsating electric charge and costs only a few cents a month to operate. Scare Wire: If you have a small herb garden but need a deterrent that is more forceful than a simple fence, adding one strand of electric wire about eight inches up from the ground around the outside of your fence will stop many dogs, cats and smaller animals. This is often referred to as a scare-wire. The idea is that a sniffing dog or cat will get a shock when they come up to the electric wire. A wild animal, such as a raccoon or rabbit will be just the right height to get a shock as well. Wire fencing: Wire fencing comes in large rolls at your local garden center or hardware store. You pound in the posts with a maul and unroll the fencing around the perimeter of your herb garden . You attach the fencing to the posts with short pieces of wire or plastic zip ties. Zip ties are nice because they are easy to remove in the fall for cleanup of the garden area. Be sure to leave one end of the fencing without a permanent tie so you can fold it open and shut for a makeshift gate. Underground Fencing: If you have problems with things digging under your fence, you can include an underground fence. This simply means that you dig a trench around the perimeter of the garden and place wire fencing like chicken wire or hardware cloth(a wire mesh), flat along the bottom of the trench and up the side of your garden fencing so that the entire garden has an L shaped piece of fence under the ground to deter digging. This is an aggressive form of protection for your garden and many wont need to go to these lengths. It is, however, very efficient. Fencing should be considered an essential part of any herb garden. It adds beauty and protection to your plants. Look around your local garden center for many ideas for just the right fencing for your particular herbal garden.